Another season of my long distance competition is back! If you want to make your own prototype for this competition, check OP1 Specification. The only difference from 2016 is about car physics so you can just update your car from previous season. Competition website is going to be updated in the near future. If you have any questions - write here. Last edited by Gzehoo on Wed Sep 06, 2017 7:25 pm, edited 21 times in total. where D is distance multiplier (4 for 24h, 2 for 12h and 1 for 6h races) and L is number of laps behind winner. Moreover maybe only best 4 results form first 5 races and best 4 form last 5 will be counted? That would change a lot, especially for people who occasionally have to skip a round. To be honest, I'm not a fan of systems where e.g. best 8 of 10 results in season are counted - especially in case of one driver finishing every race very high but losing with another one who didn't finished or didn't start in these 2 races which he didn't have counted. It's almost the same like decreasing the number of races from 10 to 8. Last edited by Gzehoo on Wed Jun 28, 2017 8:04 pm, edited 1 time in total. Can we use last seasons cars as well? Voted for the tracks. 2016 OP1 cars are available to use, but carmaker needs to make an update about physic - it's changed a little bit in 2017. Poll added for the topic. It's about Kuba's proposition for point system. Kuba's preposition has a problem with giving out the same number of points for multiple drivers. It'd be better if each position would have basic points given out (100 for first, 98 for second, 95 for third, 93 for fourth etc.) then with 98 for everyone apart the winner. Also, the problem stays that if it would reward being close to the leader, it'd still have a flaw in situations where the drivers in second and third are 1 second away, but because the leader is between then (meaning that it has lapped the third, but not the second), the second gets much more points then the third while in a other race, where the second and third are 20 seconds between each other but still within the same lap, they would get the same number of points (or, in my system, the third would get more points in this scenario then in the first one). That's a vote for the classical system from me. This time, I decided to make voting for track for 6h races in the simply poll. OP1 Specification updated as I wrote car's height wrong (it's only about Herbal's OP1 car). Luckily, Stallion and Storm don't need to be updated. BTW. Lambda PN4, the winner of Autopolis 6h and Nurburgring 24h from previous season, is available for other teams. Lambda PN5 will be an 'exclusive' car for factory team. Calendar and car list on IES website updated. You can still vote for tracks to 6h races in Season 2017. At this moment, Gzehoo, Szmajli, Mad Dan, RobertRacer, darkracer99, Sartalas and vladrichard96(?) already voted. Also, you can now sign up for IES 2017. Competition pack will come in the near future. Competition pack uploaded on IES webiste. Vertigo Racing announces their entry. There is a free seat for anyone is interested. Last edited by darkracer99 on Sun Aug 27, 2017 8:50 am, edited 1 time in total. If you are interested in joining me in the team there is a free seat . 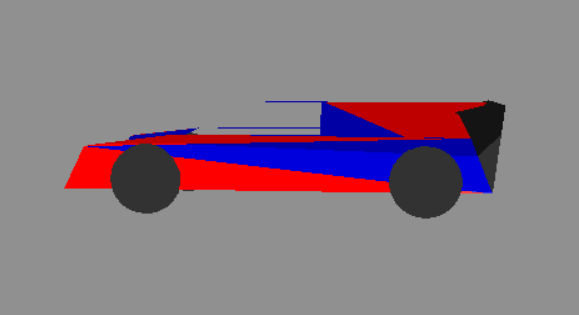 Rear wing pillars are allowed. BTW. I'm on vacations and will back at home for sure this weekend, and I'll prepare also login for Laguna Seca 4h and Sebring 12h. I'll check the rest of cars (if uploaded after compo pack) and update IES website. The IEM OP1-17 is the new OP1 challenger in the IES 2017. Design-wise the car has radical shape and marks a departure from the traditional OP1 car design. One of the most notable aero features is the rear wing pillars. Login for Laguna Seca 4h is ready. Deadline is at 3rd September. Competition pack will be updated after this race and voting. At this moment, 4 tracks (2 European and 2 non-European) are more sure. 3 teams now have two drivers. I've done my run just now, got pretty bamboozled in the corkscrew once and lost 4+ seconds in the haybale. Tricky corner but fun . Hopefully Katy will have better luck in the second Storm .